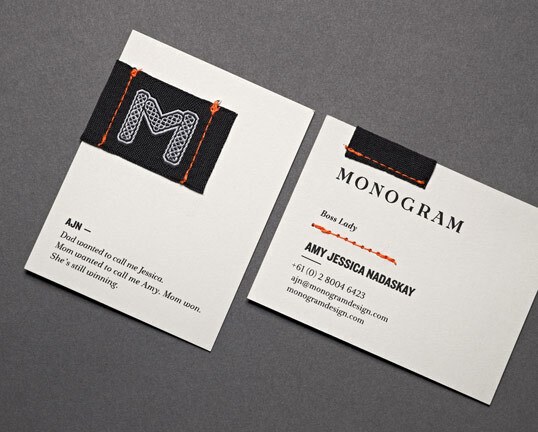 “Business Card – The brief was to truly represent Monogram Design through a business card. Monogram is a contemporary graphic design studio in Sydney, Australia who offers bespoke, tailor-made creative and strategic solutions for a variety of clients. The card design and execution needed to showcase the care and attention to detail/craftsmanship with which Monogram executes their work. The messaging needed to champion the attitude with which Monogram carries out business; that is with a playful sense of humour. In a world where designers are everywhere, and tactile craftsmanship has taken a back seat, we needed to stand out and wow the public. So far, it has worked. There are two comments that come out of handing out this card. One is, “I’ve never seen anything like this” and the other is, “This is my favourite card of all time!”. We’ve even heard of people re-designing their cards to raise their ante! 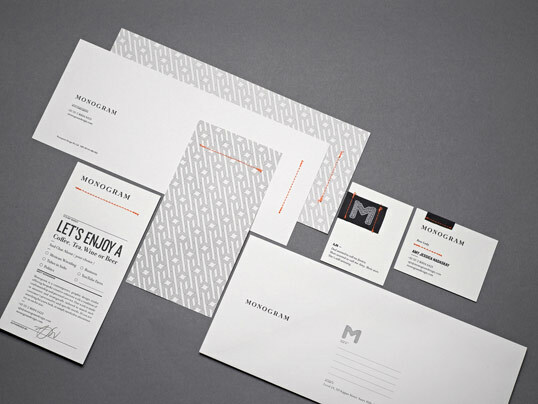 Corporate ID – The brief was to truly represent Monogram Design through a stationery suite. Monogram is a contemporary graphic design studio in Sydney, Australia who offers bespoke, tailor-made creative and strategic solutions for a variety of clients. The design and execution needed to showcase the care and attention to detail/craftsmanship with which Monogram executes their work. The messaging needed to champion the attitude with which Monogram carries out business; that is with a playful sense of humour. In a world where designers are everywhere, and tactile craftsmanship has taken a back seat, we needed to stand out and wow the public. While most designers send email blasts of their own case studies, we wanted to promote ourselves genuinely and thoughtfully through hand-written personalised notes sent along with an invitation to share a beverage and a chat. Love to know what the “let’s enjoy” card says. Fabulous and thoughtful presentation! Hey! Nice to see if all together. Looks beautiful Have fun! !